A team I had the privilege of leading at SIGAR has finished a comprehensive lessons learned report on the U.S. effort to stabilize contested Afghan districts from 2002-2017. Our analysis reveals the U.S. government greatly overestimated its ability to build and reform government institutions in Afghanistan as part of its stabilization strategy. We found the stabilization strategy and the programs used to achieve it were not properly tailored to the Afghan context, and successes in stabilizing Afghan districts rarely lasted longer than the physical presence of coalition troops and civilians. As a result, by the time all prioritized districts had transitioned from coalition to Afghan control in 2014, the services and protection provided by Afghan forces and civil servants often could not compete with a resurgent Taliban as it filled the void in newly vacated territory. Below is a more detailed version of my latest piece for the New York Times, available here. While most of the focus in the last three years of intermittent talks among Taliban, US and Afghan officials has revolved around simply getting the parties to the table—who will fulfill which preconditions, what confidence-building measures will demonstrate the parties’ sincerity and capability of delivering, etc.—the long-term prospects for peace are rarely discussed in detail. Given their immediacy, it is tempting to get caught up in issues such as whether and when the Taliban will renounce violence or accept the Afghan constitution (as frequently demanded by Kabul) and whether Kabul will refuse to permit foreign forces and advisors to remain in Afghanistan (as demanded by the Taliban). Yet even if Kabul and the Taliban find themselves sitting at the same table down the road (as America’s involvement is merely the opening act), how would they navigate the thorniest issues, what role would US support for Kabul play in the negotiations, and what might a final settlement look like? With the Taliban gradually softening its vision of itself in a future Afghanistan, it is difficult to know just how far the group would come to secure a prominent seat at the table. In contrast, women and minority groups (particularly ethnic Tajiks and Hazaras) have not moved an inch in their public proclamations as to what they would settle for; with memories of persecution in the 1990s, they seem to have a much greater stomach for continued war than the Pashtuns who have borne the brunt of the war’s last decade. Instead, these groups with a history of marginalization have spent their resources insisting that the Taliban must not be trusted, no matter the cost. To be sure, at least until the drawdown is complete, the Taliban has little incentive to negotiate in any meaningful way, despite what they may say in Doha. Already divided internally over negotiating at all, the group will wait to see what exactly Afghan forces will be capable of with only a small residual force of western advisors beginning in 2015 before moving beyond confidence-building measures. If the cities are deemed strategically vulnerable, serious negotiations will be highly unlikely, but if Afghan forces are getting enough Western financial support to hold down the population centers as well as regularly mount assaults on insurgent strongholds, the Taliban may feel increasingly compelled to settle. Still, neither those Talibs favoring meaningful negotiation nor those who oppose it will be able to persuade the other until there is evidence of Afghan forces’ apparent success or failure during the 2015 fighting season, if not later. If the parties do make it to an internationally-mediated negotiating table, however, then based on the Taliban’s history of governance, its public statements since the 2001 US invasion, and the current structure and make-up of the Afghan government, it is likely that the contours of a possible settlement would pivot on several key Taliban grievances, most of which it feels would be remedied by implementing sharia law and giving the Taliban far more influence across Afghan society, starting with rewriting the Afghan constitution. On principle, the international community and anyone remotely interested in protecting minorities and women will not indulge talk of rewriting the constitution, but the Taliban would probably settle for a number of modifications that make the country more Islamic. My latest piece for The Atlantic, available here. In early 1989, Dr. Mohammed Najibullah, the embattled communist president of Afghanistan, faced a choice. As the last of the Soviet forces supporting him had withdrawn, he knew the momentum of the U.S.-funded mujahideen bent on his overthrow would be hard to stave off. Moscow was offering only money, a handful of advisors and limited air support as a consolation to what seemed like impending doom. Even with a strong army, Najibullah knew success would depend on his ability to secure mujahideen territory outside of Afghan cities, and that would require the help of militias. While centuries of fickle alliances and treacherous terrain have made unaccountable Afghan warlords and the fighters they command a double-edged sword, it was a risk Najibullah felt compelled to take. By the time Soviet financing finally dried up in early 1992, Najibullah had amassed more than 170,000 irregular fighters (not including those whose neutrality he leased), and as he knew they would, his newly poor militias switched sides in droves, signaling the beginning of the end. President Karzai (and his 2014 successor) will soon face a similar dilemma, though in all likelihood, what surely didn’t feel like much of a choice to Najibullah will feel equally constricting to Kabul in the coming years. The numbers and dynamics on the ground speak for themselves. Assuming Washington is able to secure a Status of Forces Agreement with Kabul, U.S. forces will draw down to an expected 5,000-10,000 advisors and counterterrorism professionals by the end of 2014. In the following three years, Afghan forces (police, military and border security) will collectively contract from 352,000 to 230,000 due to budget constraints and a lack of international donors. On 15 Oct 2012 I was interviewed by both the Dari and Pashto channels of the Voice of America – Afghanistan. Below are the videos of each interview, and further below are the approximate English transcripts. 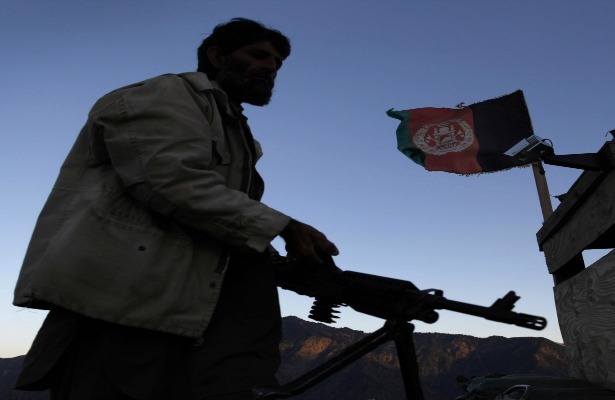 VOA: Given Afghanistan’s achievements and the security challenges facing the country, including green-on-blue attacks, can the transfer of security responsibility to Afghans succeed? Below are my remarks (click to play audio) on the future of local defense forces and militias in Afghanistan at the American Security Project on 9 OCT 2012. I essentially argue that in two years, with few choices available, Kabul will deliberately instigate civil war in remote areas of the east and south to prevent open conflict in key population centers. Revolt is a loaded word, conjuring up images of the Free Syrian Army, the Anbar Awakening, and the Libyan civil war. In small pockets across eastern Afghanistan, however, farmers, shopkeepers and others are taking the fight to the Taliban over the group’s abusive tendencies. Though entirely isolated from one another, instances of violent resistance to harsh Taliban rules have spiked this past summer—brought on by school closings in Ghazni, music bans in Nuristan, beheadings in Paktia and murders in Laghman, among other causes. While a small number of Afghans admire the Taliban, most who support it do so because they are coerced, or believe that the group is less predatory than the government, though that’s hardly an endorsement. So what precisely does it take for Afghans to stand up to the Taliban, and what are their options? Does this abuse or restriction prevent my family from earning a living or even surviving? ‘Prevent’ is the key word here. Afghans will walk an extra five miles every day to avoid a Taliban checkpoint on the way to a bazaar, and as long as they are able to get to the bazaar, the obstacle can be classified as a mere nuisance. If, however, the Taliban is restricting movement to such a degree that there is a threat of being shaken down or attacked every time Afghans leave their home, the Taliban is playing with fire. Does it prevent the men in my family from receiving an education? Again, as long as they get the education, even if the Taliban dictates that Islam should be taught in a certain way, such slights are likely to be overlooked in the face of overwhelming force. Tactful members of the Taliban will usually encourage changes in a ‘dangerously westernizing’ curriculum through intimidation but stop short of actually closing them by force, given the value Afghans place on education and their willingness to fight for it. Do I have the support I need (fellow fighters, weapons, fortifications) to retaliate? Afghans make decisions collectively, so if the village elders do not support a counter-attack, it will rarely happen. If an individual retaliates without consulting his elders, he risks becoming a social pariah or being thrown to the wolves when the Taliban comes hunting for payback. 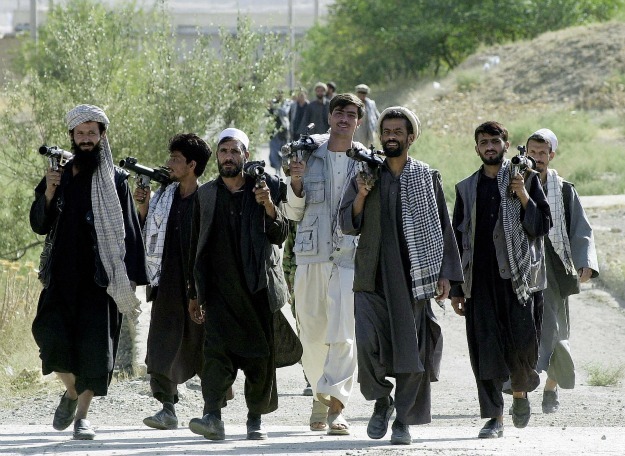 When the community does approve, it is usually in the form of revenge for a very specific grievance (such as a murder), targeted accordingly and proportionately to convey to the Taliban that the community does not intend to start a war but rather to secure limited retribution and make it known that a line was crossed. For instance, a specific Talib may be singled out and attacked for a crime he committed. Sometimes the Taliban will allow the retaliation to go unanswered and sometimes they won’t. If the retaliation simply entails chasing the Taliban out of an area with sticks, the insurgents are likely to let it slide and come back in a few days as though nothing had happened. Yet frequently the leader of an uprising will be beaten or executed if he is viewed as a threat, rather than simply helping his community blow off a little steam. Do I have the support I need to retaliate continuously and maintain a heightened defense posture indefinitely? If the goal is permanent expulsion of the Taliban or if the community knows any retaliation will be met with a harsh response, they must feel confident that their supply of ammunition and fighters runs deep. Men have to quit work or school and devote all their time to defense; all movement and communication becomes riskier and more costly; intelligence networks of spotters and infiltrators have to be established and maintained; and savings are spent in days on matching the Taliban’s capabilities, including makeshift bunkers, RPGs, PKM machine guns and even DSHKA heavy machine guns. If the community lacks the resources or connections to live under siege or project power at least a mile in every direction, they will not survive permanent enmity with the Taliban. Careful not to push the community too far, the Taliban dances a fine line as well. Abuse the population too little and they won’t fear you, but abuse them too much and you give them nothing left to lose. Inevitably, the Taliban either misread the population’s redlines or arrogantly exceed them, confident that no one would dare challenge their writ no matter how cruel they are. When faced with a possible rebellion, the Taliban will frequently roll back their demands (re-opening schools, for instance) and the population will resume its previous indulgence of modest though frustrating restrictions, such as the requirement to stay at home at night. And the dance continues. With the Taliban close to opening a political office in Qatar for the purpose of negotiating an end to the U.S.-led war in Afghanistan, it is unsurprising that the Taliban’s primary rival insurgent network, Hezb-e Islami Gulbuddin (HIG), is now clamoring for a seat at the table as well. Yet the Taliban and HIG are quite different from each other, both in how they think and how they operate, and HIG would play a complicated but very useful role at the negotiating table with NATO and Kabul if the process gathers momentum.While HIG’s forces are fewer than they were in the 1980s when its leader and founder, Gulbuddin Hekmatyar, was America’s favorite anti-Soviet mujahed, HIG has attacked NATO forces for years with a robust insurgent and criminal syndicate throughout northern and eastern Afghanistan, where I served as a civilian advisor to NATO forces in Laghman and Nuristan in 2011. Among other attacks, HIG organized an enormous 2009 siege on an American base in Kamdesh, Nuristan in which 8 U.S. soldiers were killed, and they participated in a massacre of 10 international aid workers in Badakhshan Province in 2010. In the last few months, Dr. Ghairat Baheer, son-in-law and long-time representative of Hekmatyar, has met with ISAF Commander General John Allen, U.S. Ambassador to Afghanistan Ryan Crocker, and Afghan President Hamid Karzai to discuss prospects for HIG’s reconciliation and a U.S. withdrawal from Afghanistan. Yet with NATO’s eyes focused mainly on the southern heartland, it may be tempting for the alliance to focus on negotiating solely with the Taliban, disregarding HIG. Ultimately, however, tandem negotiations with both insurgent groups are vital for several reasons.